Thanks to technology, presentations have changed a lot in recent years. No longer are basic bullet points and mundane slides the norm, or even acceptable. If you want to meet today’s higher standards, then your presentation needs to be thoughtful, compelling, persuasive, and impeccably designed. And while it’s true that these higher standards make for better presentations, they’re also pretty tough to meet, especially if you don’t have a background in presentation design. That’s where a presentation mentor comes in. 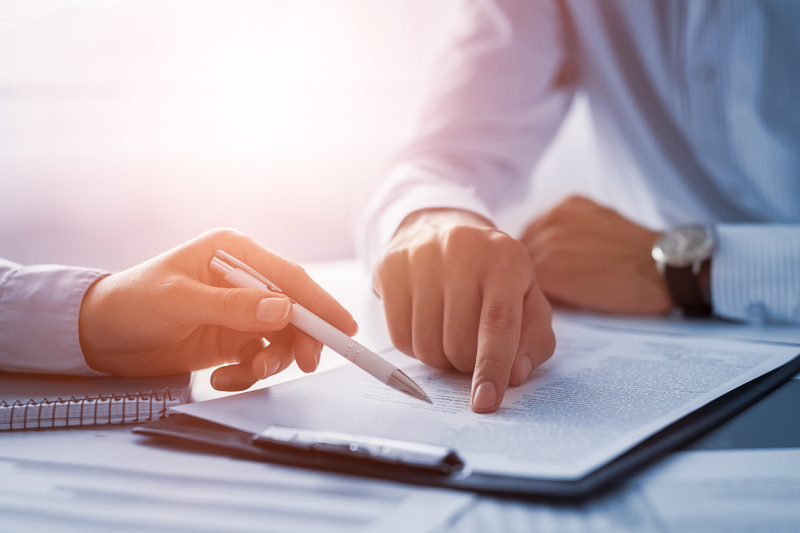 A presentation mentor is someone with a high level of expertise that will dive into who you are as a presenter in order to help you capitalize on your strengths and manage your weaknesses. Ideally, it’s also someone with extensive design knowledge who knows the science and proper application of the most effective design principles so that your presentation is as engaging as can be. If you don’t yet have a presentation mentor in your corner, then it’s time to get one. And lucky for you, we have created an online course that will be exactly that, a digital mentor for you. 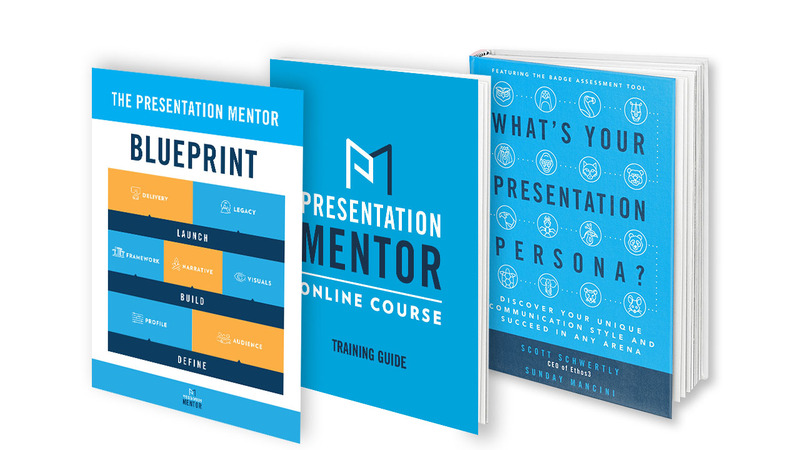 Scott Schwertly the founder of Ethos3 has just launched a brand new online course called Presentation Mentor. This course will help you not only understand who you are as a presenter, but also help you to develop the skills needed to be a cut above the rest. Scott developed this class based on the idea that self-awareness is the key to presentation success. That’s because it’s only with a keen sense of self-awareness that you can take full command of your value, your deepest motivations, and your feelings and emotions. It also allows you target your strengths and double-down on them and transform your weaknesses into assets. That’s probably why, according to a recent Hay Group study, that professionals with a strong sense of self-awareness are typically in the top 10% of their team or department. During the online, you’ll identify your core strengths and weaknesses through a unique tool called the Badge Assessment. Badge is designed to hone in on exactly who you are as a presenter using 16 different presentation personas. Maybe you’re The Scholar, a naturally curious person with a knack for research. Or perhaps you’re The Performer, a gifted entertainer who knows how to grab an audience’s attention. Regardless of which persona you embody, your new presentation mentor will teach you to leverage it to your highest advantage. By the end of this online course, you’ll know exactly how to maximize your strengths, how to manage and minimize your weaknesses, and how to best apply your value in order to unleash your full potential as a presenter. So, if you’re ready to propel yourself to the next level of personal and professional excellence, then register for Presentation Mentor today at presentationmentor.com.